Available positions include lifeguards, food and beverage, sales, retail and more! Enjoy perks like free waterpark and Ca State Fair admission! Spend a day of fun and sun with friends this summer! Buy the Day, Get the Summer! Your general admission ticket is actually a Sacramento Season Pass! Your Employees are Worth It! Show them how much you care with delicious catered options and more! Celebrating over 30 years, Raging Waters is Sacramento’s Largest Family Waterpark. Located in the heart of Cal Expo, our park features 25 family-friendly attractions, including over 20 Sacramento water slides, an 800 ft. lazy river and one of California’s original wave pools! 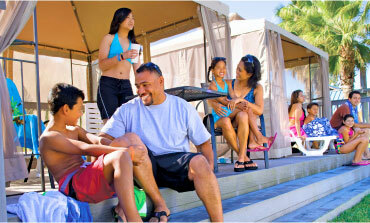 Raging Waters is not just a landmark, but the best water park in the Sacramento area for your next family staycation. Visit for one of our many special events, great family dining options, or a whole season of fun! Reserve your spot for fun and sun now! 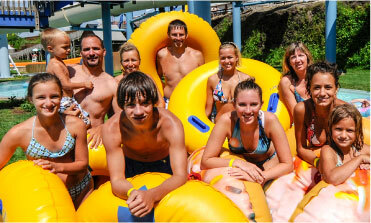 Book online to guarantee your spot at the best waterpark in Sacramento! From family reunions and company picnics to parties and group outings, we’re the perfect destination for your summer plans! Discounted admission available for groups of 10+. 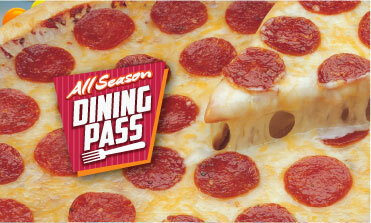 Enjoy one meal, each visit, all summer when you purchase your All Season Dining Pass! Choose from delicious options like Nor Cal Pizza and Beachside BBQ.